Deep existential crisis of the German solar industry is estimated that by the end of March in the EU appeal, sued the Chinese solar energy products cheap dumping and unfair competition. The German government even took a move to encourage attitude, with respect to the dumping of Chinese solar energy industry, and pose a threat to the local solar industry in Germany. German Environment Minister Luetgen understand that he hopes that the German solar industry has been able to survive, or the German government subsidies and no feedback will complete metamorphosis in smoke. Sueddeutsche Zeitung, “said the German solar Economic Federation has taken the action, will join their counterparts in Europe to appeal to the European Union, accused the Chinese. The Federation noted that the eight hundred members of the German solar industry, all market participants are required to comply with the principle of freedom of international trade and fair competition. German solar industry CEO Frank Asbeck (Frank Asbeck), announced that the Chinese solar panel manufacturer in the dual support of national raw materials and financial, to less than 30% of the price of German products, the dumping of Chinese products to the European market. This solar war in fact war in the United States. 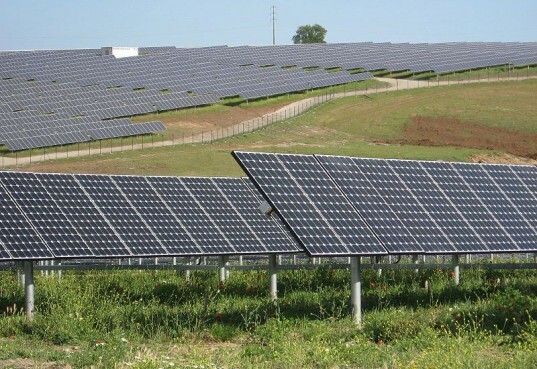 Asbeck subsidiaries in the United States last October, in conjunction with other six U.S. action against China, to submit a complaint to the U.S. Department of Commerce and the International Trade Commission, accusing the Chinese solar manufacturers to unfair dumping prices, in a large number of state subsidies the under-dumping solar panels into the U.S. market. The same pattern, they are joint European peers in the European Union on appeal. German solar Economic Federation, first stand up and accuse China of unfair competition in the German domestic solar energy industry in crisis. Example is the Berlin solar cell manufacturer Solon declared bankruptcy in December last year; just a week after the solar power station in Germany manufacturer of Solar Millennium also declared bankruptcy; Q-Cells, solar panels manufacturer now struggling in the financial crisis, fell 99% of bankruptcy limit or period. German solar energy enterprises Sunways even at the beginning of this year, Jiangxi LDK Solar eating acquisition. These living examples, resulting in the fear of the German solar industry. The German government is more worried about renewable energy to provide subsidies to encourage energy transformation, to create the German solar energy industry boom is about to unfair price attack and crash, not only the industry to survive crisis, but also waste all the taxpayer people’s money. In 2011, Germany’s solar capacity rose from 1.9% in 2010 the share of consumption to 3.2%; expected, solar power accounts for 10% to 2020. Germany’s annual solar subsidy of about 8 billion euros, up to renewable energy subsidies. By the end of 2010, Germany, a country’s installed capacity accounted for 54% of the global installed solar energy equipment; € 800 worth of solar panel installed in Germany alone, making Germany the most important market for the global solar equipment.